The Chairmen’s Advisory Council (CAC) was founded in 2007 as a Board Development Committee with the goals of growing the base of support for the Big Shoulders Fund and increasing the connection and involvement of prospective future Big Shoulders Fund Board members. Today, along with the Auxiliary Board of young professionals, it comprises the “Next Generation” of leaders who will guide the Big Shoulders Fund into the future. The Chairmen’s Advisory Council also supports the Chairmen’s Emergency Scholarship, which provides tuition assistance for families in crisis. The leadership of the Chairmen’s Advisory Council (left to right): John Podjasek, Lori Dawson, and Fred O’Connor. If you are interested in learning more about the Chairmen’s Advisory Council click here. Fred O’Connor is one of the original founders of Big Shoulders Fund’s Chairmen’s Advisory Council and has been Co-Chairman since its inception. Fred serves as a Financial Advisor with Northwestern Mutual. He has more than 30 years of professional services experience. He holds a Masters degree in finance and marketing from Northwestern University’s Kellogg School of Management and an economics degree from The College of the Holy Cross. Fred serves on a number of civic organizations and boards, including Big Shoulders Fund, The 100 Club of Chicago, The Irish Fellowship Club, St. Therese Chinese Catholic School, and The Chicago Dance Institute. He is an adviser to the boards of Have Dreams and the Chicago Commonwealth Club. Fred enjoys organizing alumni groups for Give Back Day service events, teaching the Stock Market Program at Our Lady of Grace school, and mentoring at Holy Trinity High School. Lori Dawson, CFO of the 1922 Investment Company. Lori has 20 years of experience in finance and investments. Her background includes domestic and international trust, tax and portfolio structuring; private equity and public equity investment management. Lori has an MBA from Northwestern, Bachelor degree from Michigan State and is an accredited CPA. Lori was introduced to Big Shoulders Fund in 2007 and quickly became a fan. She says, “Big Shoulders Fund won me over not only because of its mission – helping inner city children through value based education – but also because of the organization’s effectiveness, leadership and results.” Lori has been a member of the Chairmen’s Advisory Council since its early days and was excited to be on the ground floor of this energized group. In 2008, Lori joined the board and the Audit Committee. John Podjasek has been involved in the financial services industry for over 35 years in Chicago, New York, and London. John is particularly passionate about his involvement in civic organizations that give back to the community, particular those that foster education-related initiatives. He believes that Big Shoulders Fund is a premier non for profit because of the impact it makes; very few charities so much with what limited resources they have. The Big Shoulders Fund Auxiliary Board is the most rapidly growing nonprofit board for young professionals in Chicago. Now in its tenth year, the Auxiliary Board has 250 members (and growing) who serve our students and schools through volunteering, fundraising, and spreading the word about our mission. Along with the Chairmen’s Advisory Council, it comprises the “Next Generation” of Big Shoulders Fund leaders. 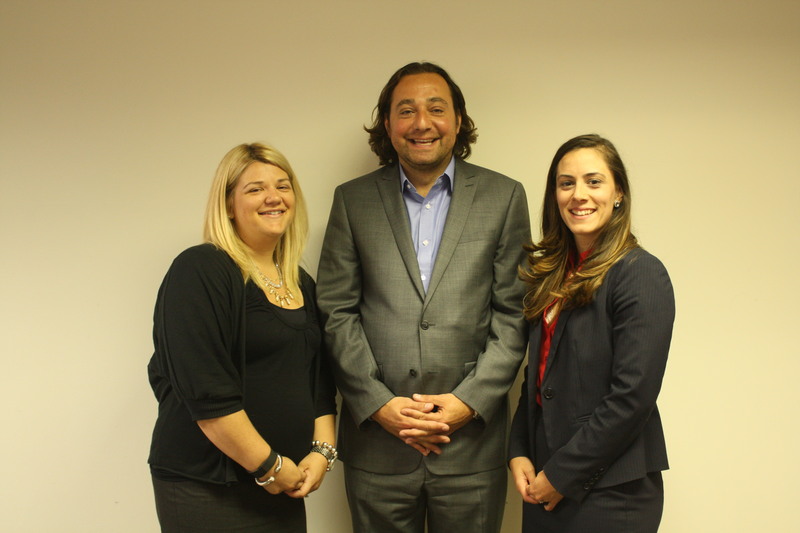 Meet the Co-Chairs of the Auxiliary Board (left to right): Caroline Ryden, Pasquale Recchia, and Alix Krupa. If you are interested in learning more about the Auxiliary Board, click here. Caroline Ryden joined Big Shoulders Fund after graduating from Fairfield University and returning to Chicago. She is the Assistant Principal at Pritzker College Prep. She joined Big Shoulders after moving back to Chicago because her brother was very involved and the mission was very similar to why she works in education. She not only enjoyed attending Catholic school her whole life, and wants to make sure anyone who wants to can have the opportunity, but she wants to see the Big Shoulders Fund Scholars go to college and pay it forward when they grow up. Alix Krupa has been involved in Big Shoulders Fund since late 2009, after obtaining a Bachelor degree from Marquette University. She began her involvement by attending various Give Back Days. Her involvement then grew into joining various committees, then chairing the School’s Committee for two years. This is her first year on the Executive Committee and she looks forward to continuing to support Big Shoulders Fund schools and its students. Alix is a Senior Registered Associate with The Maguire Group at Morgan Stanley.